Dom Yves-Marie Lelièvre is the Choirmaster at the famous Monatery of Solesmes; this is an opportunity to hear what he has to say about chant, based on the latest scholarship, in workshops at St James' Spanish Place. 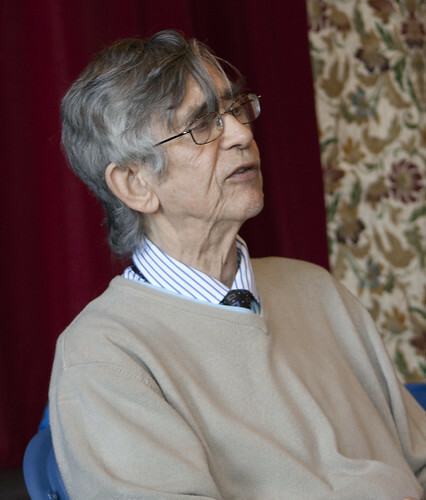 Dom Yves-Marie Lelièvre will be lead instructor of a Gregorian Chant Workshop at St. James’s 5-8 May 2011. Participants will be singing under his direction. 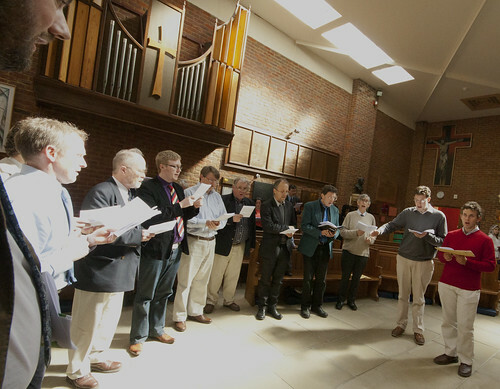 Advanced workshop sessions are full, but spaces may be available for the Friday (10 am-12 pm) class on singing Liturgy of Hours and Saturday beginners class. For more information: Contact Candy Bartoldus (cbartold@gmu.edu) or call the Rectory at 020 7935 0943. The course took place last weekend and was a great success, with about 20 participants, under the direction of Colin Mawby. 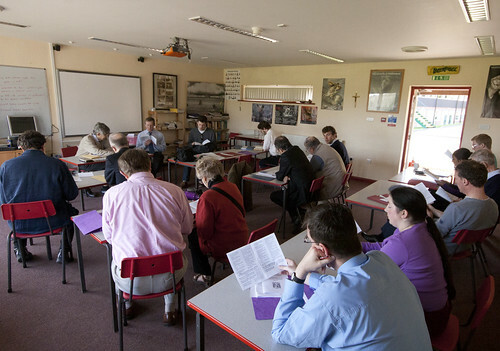 For more on the Family Retreat which runs alongside the Chant Course see LMS Chairman blog. At the final Mass all the singers sang some of the Mass propers, and most of them sang all of them. 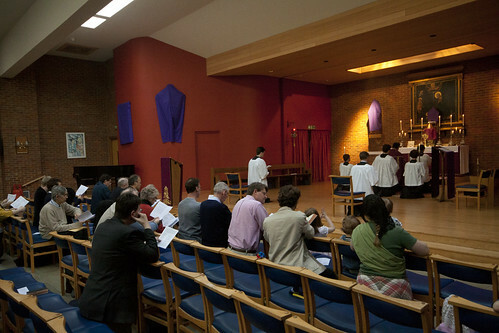 During the course, we sang at all the liturgies of the St Catherine's Trust Family Retreat: three Sung Masses, Compline twice, one Vespers and Benediction, and a Marian procession, during which we sang the Litany of the Saints, the Litany of Loreto, and the Stabat Mater. 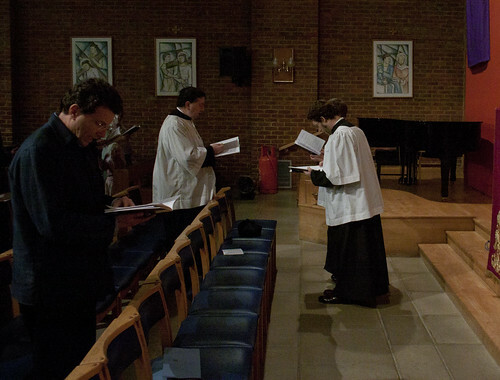 Compline, with the cantors pre-intoning the hymn Te Lucis to Fr Andrew Southwell, who presided.